The 1784 Concordate covered seven points most of which exhort the application of antiquity, and this is often an allusion to Apostolic canons peculiar to the remainder of the ‘church of scotland’. The Concordate’s Preamble and articles 2&3 are somewhat from the standpoint of Jacobite resistance where, in lieu of Stuart sovereignty, the late-Nonjurors opted for disestablishment or a free Ecclesiastical Episcopacy, mostly, independent of any lay-power or deprivation. This might as well be read as a polemic against ‘Hanoveran’ governance, and, though certain republican impulses may be detected, like Christ being the only supreme Governor of the Church of Scotland (article 2), the Scottish Church nonetheless harbored many a loyalist forced to flee the colonies. Seabury tapped this royalist network to secure his clerical business. It is somewhat debatable which prayer book, the 1549 or 1662 BCP, is closer to primitive doctrine. Despite prayers for the dearly departed and comprecations of heavenly saints, the 1549’s invocation can suggest a mild receptionism, “bless and sanctify these thy gifts, and creatures of bread and wyne, that they may be unto us the body and blood of thy most dearly beloved son Jesus Christ”. The 1662 lacks this phrase since the second prayer book of Edward omitted the invocation altogether, replacing it instead with a petition for worthy reception. The prayer for worthy/profitable reception thus carried into the 1662, free of possible Zwinglist interpretations. However, Carolinian revisions took a robust eucharistic theology one step further by giving greater attention to the confected elements by reinserting the oblation prayer from the 1549. Therefore, the 1549’s communion office, especially in the Scottish liturgy, provided a springboard for an objective presence, finally explicit in the 1764 book which said, “bless and sanctify, with thy word and holy Spirit, these thy gifts and creatures of bread and wine, that they may become the body and blood of thy most dearly beloved Son.” It’s this language, along with the oblation’s commemoration of holy gifts, that the non-juroring Bishops wished Seabury “to introduce it by degrees into practice”. But the American church in 1789 preferred the 1662 bcp’s invocation. As with earlier Settlement books, questions of presence were generally sidestepped for right use, “grant that we, receiving these thy creatures of bread and wine, according to thy son our Savior Jesus Christ’s holy institution, in remembrance of his death and passion, may be partakers of his most blessed body and blood”. But the greater attention paid to elements via the 1549 and Scottish oblation prayer(s) combined with the 1552’s right reception clause allowed the American canon to break from the mixed calvinist reading which Non-jurors were critical. As the Concordate commented, “Which is the [primitive] pattern the Church of Scotland has copied after in her Communion office, and which it has been the wish of some of the most eminent divines of the Church of England, that she also had more closely followed, than she seems to have done since she gave up her first Reformed Liturgy”. Through Seabury America received a nice chunk of Scottish churchmanship, more or less encouraging wider readings of articles 28 and 29 to include ‘worthy partaking’ rather than categorical denial of locality (1). Perhaps the mixed nature of our rite (the amalgam of British ideas?) was why America’s 19th century catholic revival had an earlier date than England’s. Nonetheless, by reason of the Concordate, the 1549 became the standard text of New England, and perhaps that not only explains the preference for the 1549 among later American traditionalists, but it likewise substantiates the development of a ‘mature’ Anglicanism more capable of recovering aspects of Henrician-Lutheran influences. The Concordate is therefore suggestive of a mandate for an “Augustan Anglicanism”, or– what I explained previously— an early-Reformed, concilar Protestantism close to catholic roots(2), composed mostly during the second half of Henry’s reign . It’s in this context the St. Louis Affirmation might be understood, namely, where it insists upon an objectivity and efficacy to holy communion elements. A further consequence of Henrician-Lutheran dialogue is its potential clearing of 16th-century sacramentarianism, which Cranmer was likely too ambiguous, but later divines, namely, the non-jurors and tractarians, clarified and adjusted without sacrificing the larger confessional integrity of the Settlement, though it sought prayer book revision along terms which America had already received. Of particular interest should be Pusey’s defense of Lutheran sacramental union. Returning to Seabury’s letter to John Broucher, doesn’t the situation described in mid-eighteenth century Scotland resemble the troubles faced by Continuers and some Realigners today in the midst of our Anglican revival? 1. See Hodges and Mason’s Bishop Edward Guest’s Article 28 and 29. 2. 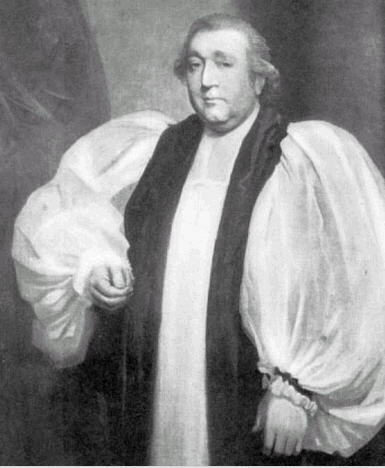 Pusey tried to retrieve this catholic and original protestant past in his work on the Eucharist, The Real Presence, as well as Archbishop Lawrence’s thesis of Lutheran affinity vis-a-vis Calvinist influence in his Bampton Lecture entitled, An Attempt to Illustrate those Articles of the Church of England which the Calvinists improperly consider as Calvinistic, 1804, 3rd edit. 1833. Pusey leveraged a local and objective understanding through early-Lutheran and late-Henrician Settlement understandings. Perhaps Pusey did for England what Deacon did for Scotland? Buxton, Richard. Eucharist and Institution Narrative, Alcuin Club, #58 (1979). Dowden, John DD. The Annoted Scottish Communion Office, Oxford (1884). This entry was posted in Consubstantiation, Old High Church, St. Louis Affirmation. Bookmark the permalink. A couple of points of interest. The phrasing of the Invocation in the 1549 and 1637 rites include the phrase ‘bemade unto us’. This is actually equivalent to the ‘ut nobis’ in the Quam oblationem of the Gregorian Canon. So, if it be mildly receptionist in 1549 and 1637, so it is in the Gregorian. Strictly speaking, however, the text of the Gregorian does not necessarily carry the later interpretations. Anent the Seabury Rite, the older clergy in Connecticut, thinking themselves bound by the Seabury Concordat, continued to use the Seabury Rite well into the 19th century rather than the 1789 Rite. As they died off, the 1789 Rite came into further use in Connecticut. The 1789 rite is an excellent liturgy, and I have no more qualms about it than the 1764 Scottish version. Worthy reception and right-use are crucial concepts for Anglican theology, but basing the objectivity of the body upon subjective belief rather than the Promise or Institution is something I have trouble with. Aside from that, worthy reception depends on lively faith. Without an objective Presence, receptionism risks an iconoclasm, starting with the blessed elements. I sort of skimmed over the 1637 book, and I’m glad you mentioned it; though, I find it odd the 1637’s invocation used a stronger phraseology that substantially differs from the 1662. While the 1637 never had the traction of the 1662, even in Scotland, it did influence later prayer books, namely, the 1718 and eventually the 1764 versions. But it did this by reference to the 1549’s oblation prayer and invocation (albeit a weak one), and it seems the non-jurors take such as the springboard for their strengthening of the liturgy. Previously, I’ve wondered why the 1637 didn’t opt for more explicit realist language, and my best guess is the 1637 book was intended for a Scottish church that was still very calvinist. A similar hesitation, if not aversion, appears with the substitution of ecclesiastical terms like ‘Sunday’ for the more puritan nomenclature of the ‘Lord’s Day or ‘Sabbath Day’ as well as giving ‘priests’ more reformed titles like ‘presbyters’ or ‘ministers’, etc.. So, I think the 1637 book was still trying to comprehend two traditions while the 1764 was less concerned with such. Thanks Mark. I have no problem with a canon that comprehends a high calvinist, or virtualist, view by reason of the Holy Spirit’s intercession so long as this doesn’t exclude a substantialism owed to the necessity of Christ’s person having an inseparable union of divine and human nature. For me, the question ultimately becomes Creedal. Anyway, I believe the 1928, even more than the 1789, opens that distinct possibility, if not by the specific language or structural ordering borrowed from the Scottish canon, then by the additional rubrics given. Under the 1928’s ‘Concerning the Service of the Church’, the Ordinary and Minister are allowed to “use other devotions taken from this Book or set forth by lawful authority within this Church, or from Holy Scripture” (p. vii). Added to this, the rubric immediately following the Prayer of Humble Access found in the Communion service suggests the singing of a hymn. That’s quite a bit of freedom, and one could use it to reinsert the devotions found inside the 1549– not only the Benedictus, as you point out, but also the Angus Dei and/or some of the following (from the 1549 declaration), “Christ our Pascall lambe is offred up for us, once for al, when he bare our sinnes on hys body upon the crosse, for he is the very lambe of God, that taketh away the sines of the worlde: wherfore let us kepe a joyfull and holy feast with the Lorde.” This liturgics combined with the manual acts, 1604 reverences, and an assertion of Elizabeth’s Ornament Rubric would seem to flesh out the idea. ‘The benedictus from the Great Hallelujah of the Passover, added to the sanctus, tells that Christ is now coming to his people through his real presence in the Lord’s Supper. they are to eat and drink in remembrance not of an absent, but of a truly present, though unseen Lord. Hence they exclaim: “blessed be he that cometh in the name of the Lord– Hosanna.” As the Sanctus emphasizes the divine, the Benedictus emphasizes the human nature of our Lord. Luther separated the Sanctus from the Preface, in order probably to bring the Benedictus directly before the consecration. The Hosanna is found in the earliest communion service on record.’–The Lutheran movement in England during the Reigns of Henry VIII and Edward VI. That is unique to the Scottish liturgy.